One of the first steps that many food truck owners need to follow through with once they have a started researching for their future rolling business is to find a commissary or commercial kitchen for their truck to call home. Most municipalities throughout the country require that a mobile food unit be parked at as well as their food storage to be handled by a state licensed commercial kitchen. In addition to this, in the few cities where cooking is not allowed on the truck, the cooking and packaging of the food must also take place at your commissary. Just as your vehicle is required to maintain local health standards, these commercial kitchens must also follow these rules. Please note that if a commercial kitchen loses its certification from the city or state, your truck will be grounded until the kitchen makes the needed corrections, or you find a new home for your truck. Finding a commercial kitchen that works for you is an integral part of bringing your gourmet mobile food to life. The location, type and size of your commercial kitchen will determine a lot of aspects of your business. This includes the type of dishes you can make, the capacity of events you can handle and where they can be located. When looking for a commercial kitchen, you can direct your search by the type of food you want to make and the scale of your operation. 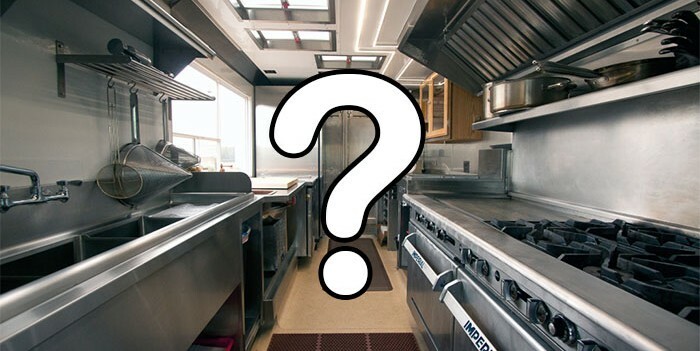 For most new food truck owners, a shared commercial kitchen is the most viable option. 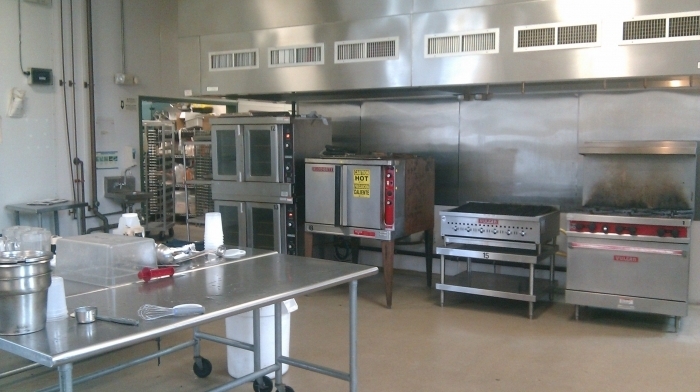 A shared-use kitchen is leased out to multiple caterers or chefs at once. It is a group kitchen for foodservice professionals. Because you share the lease with other businesses, you will save a lot of money like this. You may run into problems if you and a co-renter want to schedule the space at the same time, you can have problems. Leasing out your own private commercial kitchen space is the best option for a food truck business with large-scale aspirations. The benefits to having your own kitchen are endless. You do not have to worry about kitchen availability, and you can purchase or lease your own equipment to ensure that you have everything you need to execute your menu on a large scale. If your space has a front of the house, you can also offer followers a tasting straight from your kitchen. Even better, if things go well you can expand your carry-out and pick-up services, or start selling some of your signature items retail. 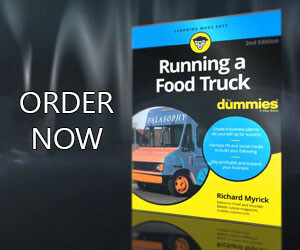 Many food truck owners have found that renting out a restaurant kitchen during hours when the restaurant is closed is the most viable option for them. You will save money by leasing a space that would otherwise go unused during those hours. Furthermore, you will know exactly when you can use the kitchen and when you cannot, avoiding the scheduling issues that can occur with a shared-lease kitchen. Schools, churches, and even the local VFW or Elk’s Club may have health inspected and certified commercial kitchen which can be rented, or even in some cases used as long as you sign an agreement to cater events for these organization as a means of payment or donation. Once you know what kind of kitchen you want, you can start shopping around. Look for the best pricing and amenities for your commercial kitchen. One great tip to follow is to speak with other local food truck operators. They can tell you which commissary or commercial kitchen they use. Some may, or may not suggest using their current kitchen, but at least you can find out the current rates in your area. Your local health department can provide you with a list of the registered commercial kitchens in your area as well. Some municipalities have even started providing these lists from their websites. Food Truck Supplier Directory: Find or place an ad for a commissary. If you have any additional tips or suggestions to finding a commissary or commercial kitchen, please feel free to add them in the comment section below, Tweet us or share it on our Facebook page.